"Sometimes spouses do not realize that just because someone may be a bad spouse that does not automatically mean that person is a bad parent," says New York City-based divorce lawyer Jacqueline Newman, who's been watching the case as an example of how a breakup can go terribly wrong. 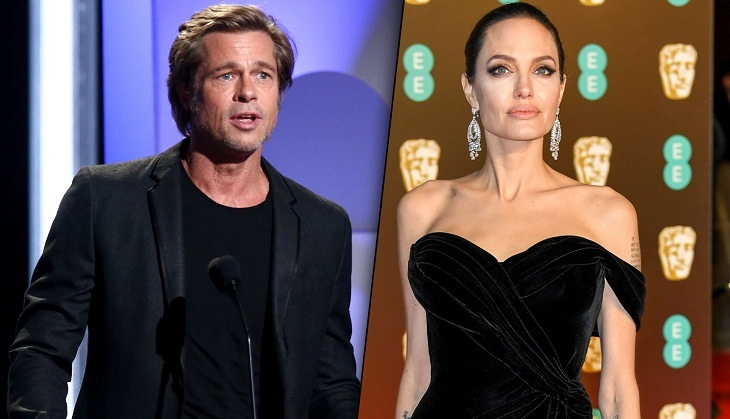 The two stars' legal teams have been in fierce negotiations since September 2016, when Jolie filed for divorce citing irreconcilable differences and "the health of the family" after 12 years together, two of those years in what we later learned wasn't wedded bliss. Their custody dispute comes down to this: She wants sole physical custody of their six kids, ranging in age from 10 to 17; he wants to share physical custody. Now, according toa document filed Monday in Los Angeles County's Family Court, Pitt and Jolie have asked for an extension to June 30, 2019, on the appointment of retired Judge John Ouderkirk as a temporary "private" judge in their case. He has handled all pre-trial issues and motions and will preside over the custody trial, scheduled for Dec. 4, likely behind closed doors and not at a public courthouse. In fact, because the case is being handled privately , Jolie and Pitt have to pay for the proceeding, including the judge and other officials. In California's public Family Courts, most proceedings are open to the public except certain issues involving children, when the courtroom can be closed. Assuming the Jolie-Pitt custody case goes to a trial, the media might be barred from the proceeding if either party requests it and the judge agrees. But John Chason, a family-law specialist with 23 years experience in California, says that could depend on where the trial is held and on whether the media challenge a closed-door proceeding. Most private proceedings are held in law offices or mediation centers, not public courthouses, he said. "They are not automatically closed but as a practical matter how does (the media or the public) attend a proceeding before a private judge in a private law office or conference center?" Chason said. He suggested that media coverage of such a trial could be handled by a pool of reporters representing all the media. "In California court proceedings are public so if the media wanted to be in there, I would think they have to be allowed," Chason said. Aside from privacy, there are good reasons to hire a private judge (usually for about $600-$700 an hour), says Chason: They can arrange hearings and discussions around the divorcing parties' schedules (crucial for movie stars constantly on the move), they can offer a low-profile law office to meet in instead of a public courthouse crammed with reporters and onlookers, and they generally take on one case at a time. "You are the only case that day – you are the only case on their dance card," Chason says. Even though the Jolie-Pitt divorce has been a "private" matter since at least January 2017, it has not stopped the regular leaking about developments in the case. Representatives for both stars declined to comment to USA TODAY. The breakdown arc of the Pitt-Jolie marriage began a month after Jolie shocked Hollywood by filing for divorce in September 2016, just two years after the romantic wedding in the French countryside they said their kids wanted. The following month anonymous accusations surfaced that she acted because Pitt was drinking heavily and after he got into a fight with oldest son, Maddox, on a plane. Those allegations were short-lived – he was investigated by the county Department of Children and Family Services and the FBI and was cleared – but they were damaging to Pitt's reputation. Meanwhile, their lawyers were dickering behind closed doors. As in any celeb divorce, the usual unnamed "sources" were leaking to benefit one side or the other. In November 2017, Jolie claimed she and Pitt had reached an interim custody agreement in which she would continue to have sole physical custody of the kids. But Pitt immediately disputed that, claiming it was only an extension of an existing interim agreement. By January 2017 the couple had hired their private judge and the tabloid headlines quieted down for a while. In June 2018, the judge issued an order to Jolie warning her that if she didn't start encouraging the children to forge relationships with their father, she could be in danger of losing custody. The judge said it was critical that each child have a healthy and strong relationship with both parents. Then in August 2018, a Jolie bombshell: She accused Pitt of not paying any "meaningful" child support for a year and a half and sought to force him to pay up what he allegedly owed. Pitt hit back, asserting in court documents that he loaned Jolie $8 million for her current Los Angeles residence and has paid over $1.3 million in bills for her and the children. All of this makes matrimonial lawyers such as Newman despair. She says she tells clients to think about how they want their children to describe their parents' divorce when they get older. "It is even worse for (the Jolie-Pitt kids) because their parents’ war is being played out in the media for them to see and all of their friends to see," Newman said.